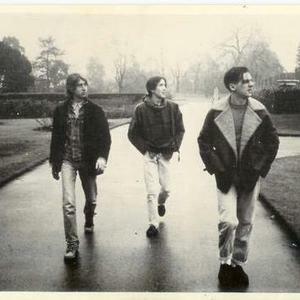 Talk Talk are commonly known for their early synthpop/new wave singles, but are also considered forerunners in the post-rock genre for their later experimental albums. Although they were identified with bands such as Duran Duran during the New Wave movement, Talk Talk had a progressive depth their contemporaries lacked. After keyboardist Simon Brenner was replaced with producer and unofficial member Tim Friese-Greene, each successive Talk Talk release became more sophisticated and original. Although they were identified with bands such as Duran Duran during the New Wave movement, Talk Talk had a progressive depth their contemporaries lacked. After keyboardist Simon Brenner was replaced with producer and unofficial member Tim Friese-Greene, each successive Talk Talk release became more sophisticated and original. The band formed in London, England in 1981. Talk Talk began as a quartet consisting of Mark Hollis (vocals), Simon Brenner (keyboards), Lee Harris (drums) and Paul Webb (bass). They were generally associated with the New Wave movement; more specifically, in their early years, they were often compared with Duran Duran, as both bands not only featured a double-barreled name and a Roxy Music-inspired musical direction, but also a record label (EMI) and producer (Colin Thurston). Talk Talk's first line-up released a self-titled debut EP in 1982 which was quickly expanded into a full-length album entitled The Party's Over. The band charted in the UK Top 40 with the singles "Talk Talk" and "Today", both produced by Thurston (who had also produced hits for Duran Duran and Howard Jones). Talk Talk eventually abandoned the New Wave style completely with The Colour of Spring in 1986. The single "Life's What You Make It" allowed the album to become their greatest success in England. The success of The Colour of Spring afforded the band an open budget and schedule for the recording of their next album. About a year in the making, and featuring contributions from many outside musicians, Spirit of Eden was released in 1988, on EMI's Parlophone label. The album was assembled from many hours of improvised instrumentation that Hollis and Friese-Greene had edited and arranged using digital equipment. The result was a mix of rock, jazz, classical, and ambient music. While critically praised, the album was not as commercially viable as its predecessors, and the band declared they would not tour in support of it. During the making of Spirit of Eden, Talk Talk manager Keith Aspden had attempted to free the band from their recording contract with EMI. "I knew by that time that EMI was not the company this band should be with", Aspden said. "I was fearful that the money wouldn't be there to record another album." EMI, however, wished to keep the band on their roster. After many months of litigation, the band ultimately succeeded in extracting themselves from the contract. EMI then sued the band, claiming that Spirit of Eden was not "commercially satisfactory", but the case was thrown out of court. In 1990, Talk Talk agreed to a two-album contract with Polydor. They released Laughing Stock on the Verve Records imprint in 1991. By this time, Webb had left the group. Talk Talk had by then morphed into what was essentially a brand name for the studio recordings of Hollis and Friese-Greene, along with a bevy of session studio players (including long-term Talk Talk drummer Harris). Laughing Stock crystallized the experimental sound the band started with Spirit of Eden (which has been retroactively categorized as "post-rock" by some critics). Laughing Stock adopted an even more minimalist style than its predecessor, but this did not stop it achieving a respectable Top 30 showing in the UK Albums Chart. With the band now released from EMI, the label released the retrospective compilation Natural History in 1990. It went on to sell over one million copies in Britain alone and rose to number 3 in the UK album chart. The 1984 single "It's My Life" was also re-released, and this time became the band's biggest success in their native country, making number 13 in the UK Singles Chart. Following up on this renewed popular interest in the band, the label released History Revisited in 1991, a compilation of 12 inch singles and alternative versions which made the Top 40, an unusually high showing for a remix album. The band sued EMI for remixing their material without permission. After Laughing Stock, Talk Talk broke up in 1991. Paul Webb and Lee Harris went on to form the band .O.Rang, while Tim Friese-Greene started recording under the name Heligoland. In 1998, Mark Hollis released his eponymous debut Mark Hollis, which was very much in keeping with the minimalist post-rock sound of Spirit of Eden and Laughing Stock. According to Hollis's management, he has since retired. Webb collaborated under the name of Rustin Man with Beth Gibbons and released "Out of Season" in 2002, while Harris was featured on the Bark Psychosis album of 2004.